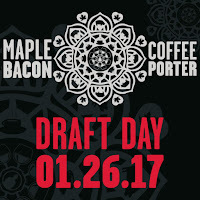 Oakland Park, FL: On the heels of the Maple Bacon Coffee Porter Fest held at Funky Buddha Brewery on January 14, comes the MBCP "Draft Day" Tour on January 26. The brewery releases its award-winning and highly popular "MBCP" each January, accompanied by a fest and bottle release onsite (this writer attended the 2016 fest). For the first time, the brewery is also sending limited supplies of MBCP into distribution on draft, followed by limited bottle releases statewide. In addition, earlier this month, the brewery also announced the upcoming release of its new year-round flagship beer, Pineapple Beach Blonde Ale, which will be available at retail in six-pack bottles beginning February 1. See prior story here. 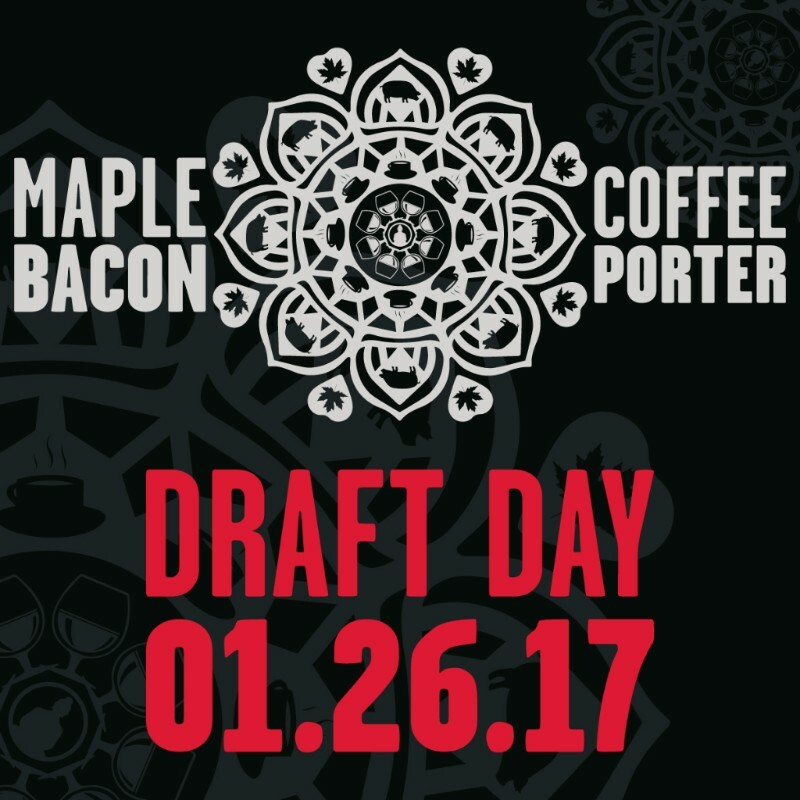 Today, the brewery released a list of establishments statewide where MBCP will be available on draft on January 26 for MBCP "Draft Day." If you didn't attend the MBCP Fest, or simply want more of the brew on draft, you'll have your chance to taste the 2017 batch. Take a look at the full listing from the brewery here. The new Pineapple Beach Blonde Ale will also be on tap. Atlantic Beach: Brewz, The Filling Station; Jacksonville/Jax Beach: Mellow Mushroom, Avondale, Southside, Airport, Jax Beach; Kickbacks Gastropub; Dahlia's Pour House; The Garage Riverside; Beer:30 King St. and San Marco; Alewife; Rain Dogs; European Street Cafe on Park St. and Jax Beach; Silver Cow on Edgewood; Taps on 210; Hoptinger at Jax Beach; Really Good Beer Stop, Jax Beach; V Pizza, San Jose; and Engine 15 Brewing, Jax Beach. St. Augustine: Brewz 'n Dawgz, Mellow Mushroom. Fernandina Beach: Salty Pelican. Tapping times may vary. Lastly, in other news, Funky Buddha also has announced another new special release beer to be available in 22 oz. bottles: the Saint Toddy, a double barrel-aged Belgian-style Tripel, that is intended to be served warm. Bottles will only be available at the brewery, and release dates are forthcoming.